Link between sleep apnea and obesity raises the stakes for America's overweight, sleep deprived populace. Americans are fatter than ever. The U.S. Centers for Disease Control (CDC) says 65% of us are overweight. And as Vice President Joe Biden would say, that's a "BFD." It's also a big sleep deal since sleep apnea and obesity are partners in crime. "Sleep apnea is a dangerous and growing problem in the U.S.," says Dr. Jeffrey Heit, clinical instructor at the University of Pennsylvania School of Medicine. "It is also inextricably related to the epidemic of obesity." As we grew into "One Nation, Overweight" we didn't seem to lose much sleep over it. But now, more and more obese Americans may be losing precious oxygen to their brains during sleep, thanks to cheeseburgers, donuts and hot fudge sundaes. When it comes to this sleep disorder, size matters. Of course, if you don't mind having your body stop breathing entirely for periods of at least 10-seconds throughout the night (a common definition of sleep apnea), it's not a problem at all. But if you prefer getting oxygen to your brain (not to mention other organs that I'd personally like to keep functioning) while you sleep, and prefer avoiding near-death experiences, preventing or reversing conditions that cause sleep apnea is a good idea. Being overweight makes it easier for your airway to become blocked during sleep, hence the link between sleep apnea and obesity. Fortunately though, the CPAP machine, pictured here, is highly effective at treating apnea, making it easier to get into a healthy lifestyle and lose weight. Sleep apnea can be devilishly tricky to recognize on your own because, well, you're asleep while it's happening. 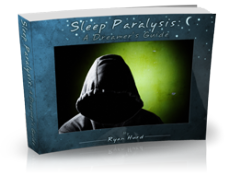 Sufferers usually learn about the problem only after being alerted by someone who witnesses their scary lapses in breathing while in slumber land. I've seen it myself. My little brother had sleep apnea up to about age 8 and it was frightening to behold. He'd stop breathing for short periods and my parents would stand by his bed cheerleading for him to start again. But he never had a clue. His problem was enlarged tonsils and adenoids, not weight, and he did an overnight sleep apnea study at UCLA. Once his tonsils and adenoids were removed, he was fine. Other kids aren't so lucky. According to the National Sleep Foundation (NSF), the problem of obesity in children is a "BFD" because it's linked to a national onslaught of sleep apnea. A 20-year, CDC review of obesity-related diseases in kids 6 to 17 revealed a 436% increase in sleep apnea hospitalizations. Yikes! There are actually 3 different kinds of sleep apneas, the obstructive variety (where the airway is narrowed and blocked) being by far the most common. The other two are central sleep apnea (where there is an absence of even the effort to breathe) and mixed sleep apnea (a combination of obstructive and central). Even if nobody has mentioned you might have a breathing problem while sleeping, there may be other clues. The Stanford Sleep Book, by William Dement, says that other symptoms of obstructive sleep apnea are "persistent tiredness, exhaustion, apathy and fatigue which are of course manifestations of excessive daytime sleepiness." So if you consistently feel tired or fatigued during the day and you've been told you're a snorer, it may be a sign that you have sleep apnea. Overall, the Sleep Foundation estimates that 18 million Americans have sleep apnea, often associated with obesity. "As the person gains weight, especially in the trunk and neck area, the risk of sleep-disordered breathing increases due to compromised respiratory function," says Dr. Margaret Moline, PhD, a sleep specialist at New York Weill Cornell Medical Center. It's a cascading problem. First of all, being excessively overweight contributes to a variety of sleep problems, including sleep apnea, says NSF. And at the same time, not getting enough sleep contributes further to obesity. A University of Chicago study revealed that getting into a sleep debt over a period of days inhibits metabolism and causes hormone havoc, leading to weight gain. And beyond the hormone and metabolic issues, it's also the case that a large sleep debt wreaks havoc on mood and motivation, so you can see how being a little tired throughout the day could compromise the calorie-burning activities you choose to do. So the more overweight you are, the less sleep you get, and the fatter you become. Not good! I remember Dr. Dement once remarking that he used to make a practice of asking sleep physicians the age of the oldest person they had ever treated for sleep apnea. They were never very old at all, because people with sleep apnea die before they can reach old age. Heart attacks, blood pressure, traffic accidents, you name it. Such is the nature of a disorder that makes your body battle to breathe each and every night. 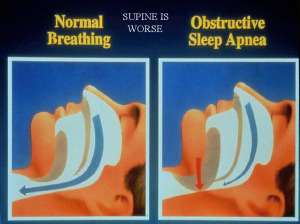 The National Institutes of Health (NIH) defines (rather ominously) a form of the disorder known specifically as "obstructive sleep apnea," or OSA, as "an absence of breathing during sleep." An absence of breathing? Isn't that also how we define death? And don't think simply being fit offers a free pass to run up sleep debt. Studies by sleep specialist Dr. Eve Van Cauter, PhD, point to sleep deprivation as a factor causing obesity in the first place. In other words, thin people who accumulate sleep dept can become overweight, which in turn can produce sleep apnea. Van Cauter puts it more bluntly, calling sleep loss "the royal route to obesity." Game, set, match. Sleep apnea affects millions of Americans as well as people all over the world, so if you have someone that is concerned about your night time breathing or snoring, TAKE IT SERIOUSLY! Attack the problem from both ends. Many sleep experts say that dropping 10% of body weight - a doable amount for most - can strike a quick blow in the battle to cut any sleep deficit. NIH weighs in on this too, saying: "Both medical and surgical studies have demonstrated that as little as 10% weight reduction is associated with a more than 50% reduction in the severity of sleep apnea." Meanwhile, getting more sleep--and hence feeling more energetic about exercising daily - can help you trim poundage. 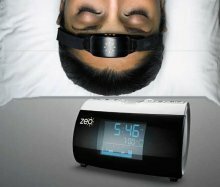 For someone with sleep apnea, this is about getting more restorative sleep--sleep where you are not waking up every few minutes to breathe--and that involves treatment, like the highly effective CPAP machine, to reverse the cycle. Make healthy food choices. Avoid fast foods. Eat more fish, fruits and vegetables; avoid foods high in carbohydrates or fats. Exercise consistently, which will improve the quality of your sleep. Most experts, however, say to avoid exercising less than 3 hours before bedtime, because exercise is alerting and can make it harder to fall asleep. Sleep apnea is dangerous to your health, and its links to obesity are clear. Avoid the sleep apnea epidemic. Sleep, eat well, and exercise. When it comes to your lifespan, you can put the right priorities in order. 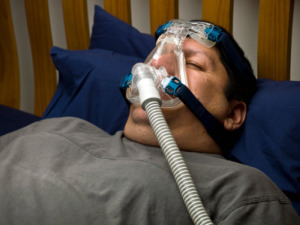 Have your own thoughts or questions about sleep apnea and obesity? Share them with us!